When it comes to penning down love stories which are so much more than just that, no one can beat Khalil-ur-Rehman Qamar. Like every other drama penned down by him TDKKH too is unpredictable and in many ways bold as well. The relationships between all the characters are anything but simple and these complications keep on getting even more confusing with every passing episode. Faris’ character in particular is highly intriguing; it is impossible to guess how he actually feels about all the women in his life right now. His proposal to Zoya was completely unexpected and it seemed like nothing more than another desperate attempt to get back at Maya but Zoya’s reaction had to be the most interesting part of this entire scenario. The most interesting bit was that Zoya just learned why Maya never loved her the way a sister should be loved, that definitely changed a lot of things. The stories about sibling rivalry explained a lot and might also have given Zoya a reason to do something to hurt Maya. Also, their background also explained Maya’s reaction in the previous episode when she saw Faris with Zoya. The only part that was difficult to relate to was that Zoya did not remember any of this. If she was old enough to tell her father that she did well in the exam then she should have had some recollection of those memories unless like her mother said, she decided to store those memories away in her mind. Lubna’s track is also being given a lot of screen time in these episodes which goes to show that she has a bigger role to play in the picture. Saif was more amused than angry when he got the parcel from Lubna which basically showed that she was another woman in his life for whom he didn’t really care much. Siraj Uncle continued to play cupid and failed at it over and over again yet he didn’t give up! Gradually, Dariya is showing how she actually feels about this entire situation. In tonight’s episode, she clearly stated why getting married to Faris was never an option. The fact that Dariya is convinced that Maya isn’t really out of Faris’ life suggests that Faris still loves her. He is angry and hurt but he might eventually forgive Maya. Dariya is the only person who understands Faris therefore if she is sure that Maya can come back into his life any time then that might just happen! My favorite scene from tonight’s episode was the last one; the meeting between Faris and Maya was an absolute delight to watch. Faris told Maya how everything had changed after she left but he wasn’t looking for sympathy when he told her that, it was more like making someone aware of their wrongdoings and the repercussions. He also tried to take control of the situation yet again by telling her that they will only meet when it would suit him and that could even mean that they will never meet again. This aspect of Faris’ personality is so relatable; I love the way he is constantly trying to show that he is in control of things when clearly he isn’t! 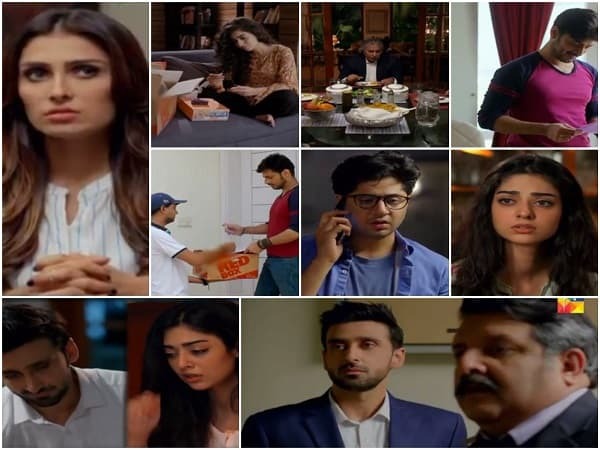 Sami Khan never ceases to impress as Faris, Ayeza Khan continues to translate Maya’s character impeccably on screen and most importantly the director Shahid Shafat has made sure that these beautifully etched-out characters do not get lost in translation. The background score of the drama is also beyond impressive. The preview of the next episode definitely piqued my interest. I am looking forward to finding out if Faris can really tell Maya that he is getting married to Dariya!